I enjoy taking pictures and then manipulating the photo in the computer. Then I use my sewing machine to thread draw aspects of the picture. 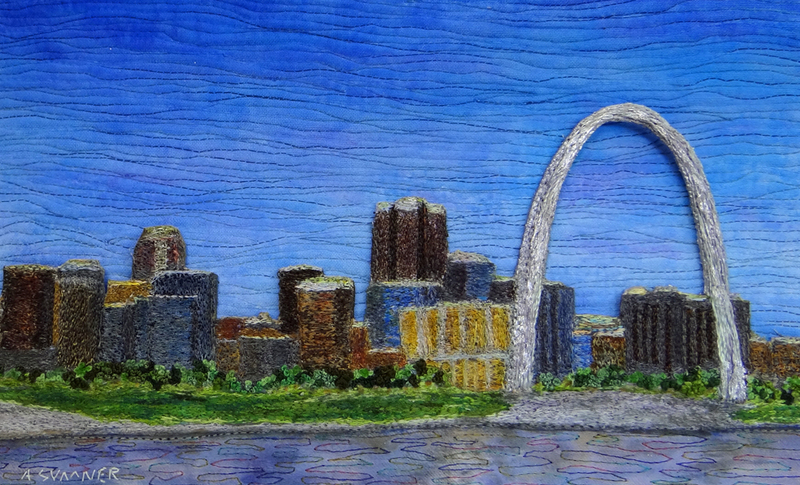 I quilted the back ground sky and used acrylic paint to texture the threads. I then hand-stitch the foliage to give depth and realism.